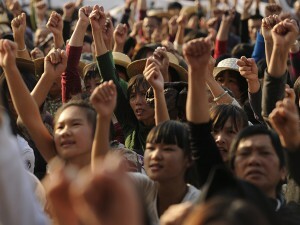 Chinaworker.info – China: What changes can we expect from Xi Jinping? China: What changes can we expect from Xi Jinping? How to decipher changes at the top and the new CCP leadership’s emphasis on “deeper reform”? Xi Jinping, the new general secretary of the CCP (Chinese Communist Party), has lost no time establishing an image as a protagonist of so-called economic reform, which in China is code for capitalist economic policies. This has gone down well with business leaders and commentators abroad and even within China’s own liberal circles, where Xi is enjoying the dictator’s equivalent of a ‘honeymoon period’. This is shown by the comments of Wu Jinglian, an outspoken neo-liberal economist, who praised the new leaders for “reinstating the agenda of reform and getting ready the resumption of reform”. Talk of “deeper” economic reform, however, is not matched by any signs of imminent political relaxation under Xi’s rule. On the contrary, while making some well-publicised gestures against official corruption, the new regime has also taken fresh measures to control social media and the internet. “It is the civilians’ wish that the chaotic internet be regulated,” commented the People’s Daily (21 December 2012) in characteristically Orwellian fashion. 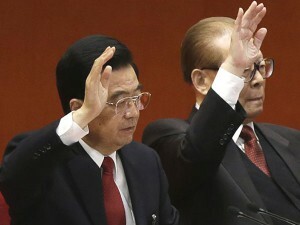 Xi was accompanied by Wang Yang, the Guangdong party chief (since promoted and replaced by “Little Hu” Chunhua). Wang is seen as the main liberal standard bearer within the CCP when premier Wen Jiabao retires in March 2013. Undoubtedly Xi’s Guangdong trip served additionally to reassure Wang and his supporters after he missed out on a place in the politburo standing committee – the apex of power in the CCP-state. “[Xi’s] message to the outside world is ‘I am the heir to Deng, I am not a conservative’,” noted liberal commentator Willy Lam at the Chinese University of Hong Kong. Xi also stressed his own links with Guangdong, the cradle of capitalist globalisation in China, where his father Xi Zhongxun was governor and party secretary from 1978-81 and where his mother still lives. Xi the elder was a key ally of Deng in the early phase of reform and opening and Deng’s struggle against the Maoist wing of the state bureaucracy. Xi Zhongxun is credited with founding the Shenzhen Special Economic Zone (SEZ), the first of its kind, which was then copied to other areas of China, before being exported to other low-wage economies in Asia and beyond. The SEZ’s were used to attract investments from multinational companies and to progressively undermine workers’ rights, social protection and secure jobs, as “efficient” sweatshops replaced “inefficient” state-owned companies especially in the export sector. 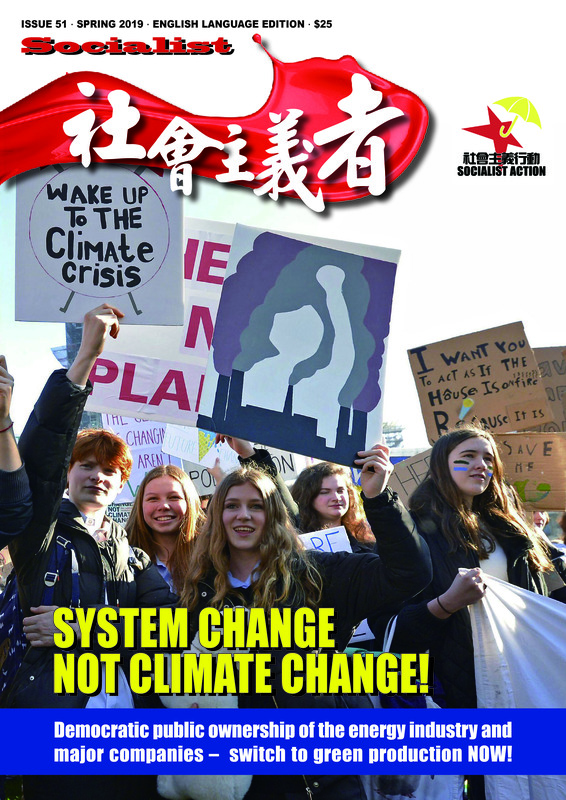 Interestingly, Pei’s article in the South China Morning Post (22 December 2012) continues: “But those who believe the party in China can defy both the internal degenerative dynamics of autocracy and the historical record of failed one-party regimes might benefit from reading works by Leon Trotsky, who knew something about revolutions. Dictatorships are regarded as indestructible before they fall, Trotsky reminds us, but their demise is viewed as inevitable once they are toppled.” Pei, who is no Trotskyist, is not an isolated voice warning of revolution in China. Within the ruling circles of the CCP there is a growing sense of danger. There is a reported surge in demand among party leaders for copies of L’Ancien Régime et la Révolution, the 1856 study of the French Revolution by Alexis de Tocqueville. According to Jamil Anderlini in the Financial Times, premier-in-waiting Li Keqiang views the book as a warning: “de Tocqueville blamed the 1789 French revolution in part on the fact that the bourgeoisie inspired envy among the masses while the nobles elicited scorn”. The year 2012 was an ‘annus horribilis’ for the Chinese regime, with the economy slowing sharply, a worsening debt crisis, and growing anti-government sentiment producing the most serious cracks in its façade of ‘unity’ for more than two decades. At first sight this is an incongruous turn of events given China’s much-hyped economic ‘miracle’. The outgoing leadership of president Hu Jintao and premier Wen seem on the surface of things to have engineered one of the most remarkable spurts of economic growth ever seen. In dollar terms, China’s GDP quadrupled during the Hu-Wen decade (2003-12), with average annual growth of 10.6 percent. A decade ago Britain, France and Germany were each larger in terms of economic output than China, as was Japan. China today dwarfs these economies. In 2012, according to the Paris-based OECD, China will overtake the 17-state Eurozone, with a larger share of global GDP, and is poised to overtake the US sometime in the next decade. In the Hu-Wen decade, China’s electricity consumption quadrupled, its network of expressways more than tripled, and private vehicle ownership increased 8-fold. The number of Chinese companies in the Fortune 500 (list of the world’s leading companies by measured revenue) increased from 11 to 79, the second-largest number after the US. Yet the fruits of economic growth have not been shared by the mass of the population. The rising wave of mass protests, with an estimated 180,000 incidents in 2010, is one of many signs that popular discontent has reached boiling point. The pro-capitalist policies of the Hu-Wen government have widened the wealth gap, now among the most extreme in the world. When Hu came to power, there were no dollar billionaires in China. This year there are 251, second only to the US, with seven of these billionaires attending the CCP’s 18th Congress as delegates. At the same time, almost 500m Chinese live on less than the equivalent of US$2 per day, and according to the World Bank, half China’s population lacks basic access to safe drinking water. For the first time in its history the CCP’s standing committee is now dominated by princelings – China’s “red aristocracy”. These are the offspring of former CCP leaders from the Mao era, like Xi himself, whose family connections give them incredible power and wealth in today’s China. Of the seven seats in the politburo standing committee there are four princelings: Xi Jinping, Zhang Dejiang, Yu Zhengsheng and Wang Qishan. This represents a significant shift at the top, with important implications for the future direction of the regime. In the old standing committee (2007-12) the princelings occupied a third of the then nine seats. “Many countries have powerful families, but in China, they are becoming the dominant force in politics and business,” says Lu Xiaobo, a political science professor at Columbia University. The principal losers in the governmental power struggle seem to be the faction of Hu Jintao (who will handover the presidency to Xi in March 2013). Hu’s ‘Young Communist League’ (tuanpai) faction is the main vehicle for non-princeling officials, those who climb their way up through the bureaucratic machinery. This faction is left with just one affiliate in the new standing committee, Li Keqiang, who is ranked second in the leadership. Not only was Xi Jinping confirmed in the post of party secretary, Hu also made way for him as chairman of the Central Military Commission (CMC), which wields control over the armed forces. The latter move provides yet another clue about the internal struggle that has raged throughout 2012. Hu’s predecessor, Jiang Zemin, stepped down as general secretary in 2002, but refused to relinquish the chairmanship of the CMC for a further two years, holding on as a counterweight to Hu and the influence of the tuanpai. Jiang is the godfather of the ‘Shanghai gang’, which is also sometimes called the ‘princeling faction’. These are the two main factions in the CCP, but there are others less clearly defined. Even ‘experts’ disagree on the factional affiliation of several key figures. Not all the princelings in the standing committee are members of Jiang’s faction, but Zhang Dejiang and Yu Zhengsheng are, as is Zhang Gaoli who is not a princeling. The CCP’s internal factions are not divided on clear political lines – over doctrine or policy – but reflect the more shadowy world of intrigue, mutual protection, and the carve-up of spheres of control. The post-congress show of unity for Xi and his team does not signal the end of CCP factional strife, merely a pause while the different forces take stock of the situation and await the first moves of the new leadership. Xi Jinping was formerly close to Jiang’s faction, but has trodden a more independent path especially since 2007, when he was anointed Hu Jintao’s successor at the 17th Congress. Xi was the only candidate among the top contenders who was acceptable to both major factions, with the risk of a full-blown factional ‘civil war’ if either attempted to impose one of their own. This is a position Xi has evidently exploited to gain greater leverage over the incoming leadership. This probably explains the deal whereby Hu relinquished the CMC chairmanship, and also the decision to cut the standing committee from nine to seven members. Both are moves that potentially concentrate more power in Xi’s hands, although it remains to be seen how much clout he really has. The full picture has yet to emerge as to which other Machiavellian deals may have been made. This is especially the case with the outline of economic policy (“deeper reform”) and the promotion of factional affiliates to top jobs in the new administration. While Hu’s tuanpai faction lost out in the struggle over standing committee seats, they are by far the largest group in the full 25-member politburo, with at least nine seats. Tuanpai politburo members are generally younger and seen as well positioned for elevation in the next leadership reshuffle in 2017. Reflecting the deepening crisis within the CCP, the customary horse-trading over top seats dragged on almost until the eve of the congress. This is part of a brutal high-level power struggle, which is set to continue. The factional tug-of-war spilled into the public domain, something all sides have previously sought to avoid lest this spur mass opposition, through a series of political scandals triggered by leaked information from one or other factional grouping. Examples of this are the “Ferrari affair” that blocked the rise of one of Hu’s key protégés, Ling Jihua, and the “Ping An affair”, a highly damaging investigation by the New York Times (probably based on leaks from CCP insiders) into the estimated US$2.7 billion fortune amassed by close relatives of premier Wen Jiabao. The most sensational case is the downfall of top princeling Bo Xilai, who has been expelled from the CCP to face serious criminal charges at a trial likely to be held early in 2013. Bo’s factional opponents were for a long time digging for incriminating evidence in order to move against him, only for him to save them the trouble by triggering his own demise with the fateful decision to sack his former henchman Wang Lijun, thus uncovering the murder scandal involving Bo’s wife Gu Kailai. Notwithstanding the damaging fallout from the Bo scandal for the princelings as a social group, which helped to fuel massive anger over their wealth, corruption and arrogance, it is the princelings who have advanced their positions within the CCP during the course of the year. This underlines just how out of touch and remote the CCP leaders have become. The princelings’ strong showing was facilitated by the Lazarus-like political resurrections of former leaders, 86 year-old Jiang Zemin, and also 84 year-old Li Peng, who waded forcefully into the backroom negotiations. Jiang especially acted as a factional whip mobilising support for the princelings and his own ‘Shanghai gang’. The princelings, whose social position as a specific stratum of the new Chinese property owning elite is predicated upon one-party rule, are therefore seen as a bulwark against democratic ‘experiments’ that could endanger this rule. The princelings occupy an analogous position to the family clans of the dictators in Egypt and Tunisia – they have no alternative to fight to the end against the masses since they will lose everything in a revolution from below. Corruption in China seeps into every sphere of life, from the mega-bucks pilfered by state officials to the ‘red envelopes’ demanded by doctors or schoolteachers to give a patient or pupil greater priority. It is estimated that US$3.72 trillion has flowed out of China in the form of corruption, crime and tax evasion in the last decade, according to Elizabeth C. Economy of the US Council for Foreign Relations. The internet in China is abuzz with scandal-causing pictures of CCP politicians donning luxury watches and expensive designer suits with price tags that exceed their official salaries. Xi and the new leadership want to show some results in tackling corruption early in their reign, but like their predecessors they are constrained by the reality that the entire system is corrupt. In practise, the anti-corruption campaign will be limited to some well-publicised gestures and singling out a few “rotten eggs” to make examples of. This has already happened in the case of Li Chuncheng, deputy party secretary in Sichuan province, who was elevated as a Central Committee alternate member at the congress in November. Li is now under investigation for selling official posts and illicit real estate deals. Naming standing committee member Wang Qishan as China’s new anti-corruption czar is also intended to signal a tougher approach. Significantly, Wang has no children – removing at least one potential “conflict of interest”. In addition, the politburo under Xi has pushed through a ban on official banqueting and ostentatious red carpet receptions for visiting CCP and military dignitaries. While this measure will undoubtedly win some short-term support for the new leaders, it is largely cosmetic, given that kickbacks from business deals involve far greater sums than do public displays of pomp. In reality, the aim of the new ban is too enforce a degree of discretion upon CCP officials, to keep their capacious shenanigans out of the public domain. It is no more than a smokescreen in other words. In order to safeguard their system, the CCP leaders will try to strike a balance, to blunt public anger over corruption on one hand, while being careful to limit the scope of anti-corruption campaigns on the other. Full exposure of the depths of official corruption has the potential to trigger mass protests, but also to unleash ‘civil war’ within the CCP-state. Real and meaningful steps to lift the veil of secrecy over the business links of CCP leaders and their families would pose a threat to the regime’s existence. To borrow Xi Jinping’s metaphor, this would open history’s biggest can of worms! There are growing calls for a “sunshine law”, including from sections of the state media, to make top officials declare their business interests. A law was passed 18 years ago obliging all officials to report their financial dealings to the central authorities. This was another largely meaningless measure as the results are not open to public scrutiny – naturally – and CCP officials have myriad means at their disposal to conceal their assets by signing them over to relatives or business partners, using shell companies, and other devices. Despite rising public demands, a law publicising officials’ dealings would be suicidal for the regime. “If they declared their assets, they would all end up in jail – that’s impossible,” commented Yao Jianfu, a retired official. What has been proposed is a pilot scheme involving three relatively small areas in Guangdong province from next year: Hengqin in Zhuhai, Nansha in Guangzhou and Shixing county in Shaoguan. In these test areas, local officials will be required to declare their investments and personal assets. Even this minimal reform has aroused scepticism. “The public will further lose their trust towards the system if the policy is never carried out,” commented Tang Xiaoyang, a professor at Guangdong’s Party School. Willy Lam, an advocate of liberal political reform, argues “It’s impossible to tackle corruption within the system without having independent bodies”. Unlike us socialists, China’s liberals do not propose sweeping change based on the masses fighting to achieve real democratic rights, because they understand that this would amount to a revolutionary shift, one that would immediately pose a threat to China’s capitalist development. The liberals’ alternative amounts to creating – in a gradual and controlled way – certain independent “checks and balances” to be exercised by a parallel set of elitist institutions, separated from CCP control, such as independent law courts, a freer media, an unshackled NGO sector, and so on. There is no suggestion these bodies would be elected or in any way subject to public control. This is because their role according to the schema of the liberal reformers is to represent the non-party capitalist interests and social groups under their political influence, which includes perhaps the majority of the so-called intelligentsia at the present time, to give these layers channels to influence the affairs of the state. The liberals see this as a way to reduce corruption in government and make the economy “more competitive” by reducing the role of the CCP-linked companies. Another idea that Xi seems to have adopted is “deliberative democracy” – more candidates competing for positions, but within the one-party system, and staging local forums to hear and debate, but not actually decide, government policy. This is part of the programme of political reform espoused by the supporters of premier Wen and former Guangdong chief Wang Yang. These forces do not seek the end of one-party rule; they want modifications that aim to prolong its shelf life by building “safety valves” into the system to prevent the explosion of revolution. Like the hard-line anti-reform sectors of the CCP, they also fear the masses, and do not want the masses, especially the working class, to engage in politics by building their own independent organisations and publications to challenge for power. A crucial difference between socialists and the liberal reformers is that we stand for full and immediate democratic rights and the end of one-party rule. The narrow limits of political reform within the current system as favoured by liberals of Wang’s ilk is shown by the experience of Wukan village in Guangdong, one year after its epic mass struggle. 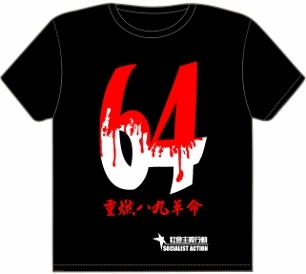 Following the negotiated agreement with Wang’s government in December 2011, the more radical layers of the protest movement have faced repression and threats, while the moderate pro-CCP layer of the protest movement that dominated the subsequent village elections has failed to deliver on any of the movement’s main demands. Within the new standing committee there is Liu Yunshan whose son, Liu Lefei, is CEO of the China International Trust and Investment Corporation (CITIC) Private Equity Funds Management Co. Lui the younger was ranked 22nd on Fortune magazine’s 2011 list of the top 25 business leaders in Asia. Not to be outdone, the family of Xi Jinping, especially his elder sister, have amassed a US$376 million fortune in real estate, technology and rare earth mining, according to an investigation by Bloomberg earlier this year. “There is no indication Xi intervened to advance his relatives’ business transactions, or of any wrongdoing by Xi or his extended family,” the report hastened to add. This only underlines the fact that the CCP’s top families are able to leverage their positions quite “legally” under today’s one-party dictatorship to build extensive business empires. There is excitement in capitalist circles that Xi and his team will embark upon a programme of pro-business reforms. A Bloomberg investor poll conducted at the end of November showed that 53 percent were “optimistic” about Xi’s policies compared with 42 percent who were asked about Hu two months earlier. “It’s very positive. No more enigmatic Hu Jintao, this is someone business and the people can relate too,” said one spokesman for Australia’s mining sector. The support for a renewed spurt of capitalist economic reforms cuts across factional lines in the new leadership. Li Keqiang, who will takeover Wen’s brief on economic policy, and is the senior non-princeling in the new leadership, has been the most outspoken on these issues. Li is closely associated with the neo-liberal report ‘China 2030’ which was co-authored by the World Bank and the Chinese government’s Development Research Center, under Li’s control. In 460-plus pages the report does not mention the word “democracy”, but its main conclusion is the need for “structural reforms to strengthen the foundations for a market based economy”, which includes the familiar mix of privatisations, deregulation and the break-up of state monopolies. After the 18th Congress Li complained that, “At present, reform has encountered a ‘fortress area’ and a ‘deep water area’ [formidable obstacles]. We must overcome difficulties and get rid of all institutional obstacles that hinder scientific development.” This is music to the ears of the capitalists. While the political make-up and intended direction of the new leadership is clear, however, this does not mean speeches will automatically translate into policy. We have heard such things many times before. 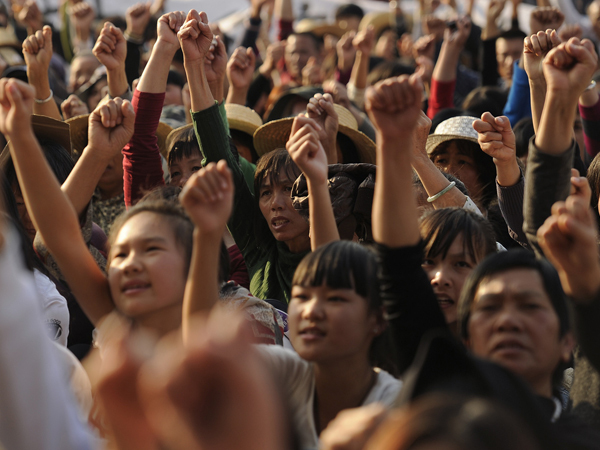 The programme of neo-liberal reform favoured by Xi, Li and the new leaders will at some point encounter mass resistance as the burdens on working people increase, while the promises to curb corruption and make government more “open” fail to materialise. This is also why Xi is using more nationalist rhetoric, over China’s territorial claims in the South China Sea for example. Like other governments, most notably Japan’s new leaders, Xi will try to use nationalism to disorientate the masses and mute resistance to his pro-capitalist measures. The princelings will sign up for economic reforms providing their own business interests are left untouched. Resistance from these “vested interests” can frustrate even relatively small measures and lead to intensified factional strife. At the same time the economic slowdown and especially overcapacity and the accumulation of debt (see box) mean that planned financial reforms such as gradually opening the capital account, liberalising interest rates, and legalising shadow banking, could exacerbate existing threats to the financial system. Talk of developing a social security system for 200 million migrant workers, which is now being touted as a way to boost domestic consumption, is likely to run aground upon the dire state of local government finances (local rather than central authorities must shoulder this additional spending). Likewise, increasing compensation payments to farmers for land seizures, which is now being pushed by Beijing, will encounter similar obstacles. As local governments sink deeper into debt following the overinvestment of recent years, they will chase after bigger returns from land deals rather than increasing payouts to the poor. These realities mean the way ahead is anything but straightforward for Xi Jinping. Socialists place no confidence in any wing of the CCP, none of which represent the interests of the masses. We warn against illusions that the regime will reform itself or allow basic democratic rights such as freedom of assembly, the right to build independent workers’ unions, political parties, etc. These rights can only be won through mass struggle waged independently of the CCP-state and also of the pro-capitalist liberal groups who fear the democratic empowerment of ordinary workers as a threat to the capitalist economic policies they support. We socialists stress the need for a workers’ party, at this stage only possible as an underground force, with a programme to replace one-party dictatorship with full democratic rights along with democratic public ownership and planning of the economy. Many commentators inside China and abroad describe the Hu-Wen years as a “lost decade”. This term means different things depending on who uses it. So-called political reformers within and outside the ranks of the CCP point to the fact that repression and censorship have increased. This is especially the case since the onset of the global crisis of capitalism in 2008, and contradicts premier Wen’s many speeches on the theme of political reform. The reality is shown by the huge growth of the internal security budget, to 701.8 billion yuan (US$111.4 billion) in 2012, which has exceeded military spending for each of the past two years. “Harmony”, the pet phrase of Hu Jintao, is now a synonym for repression: protesters are routinely “harmonised” by riot police. For a much bigger group of capitalist commentators, not connected with the political reform camp, the expression “lost decade” is used to show impatience over what they see as stalled economic ‘reforms’– liberalisation, deregulation and restructuring of state-owned enterprises (SOEs) to create more profitable openings for private capital. 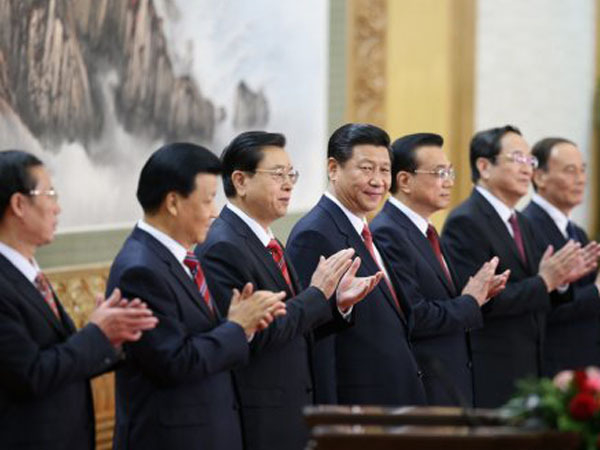 It is common for economic liberals in the Chinese media to credit the double-digit growth of the Hu-Wen years to the previous leadership team of president Jiang Zemin and his economic tsar Zhu Rongji. They are praised for enacting “bold reforms” including a wave of privatisations and sackings in the SOEs, and entry to the WTO, which greatly accelerated FDI inflows and exports (paid for with the sweat and blood of workers). These measures created explosive social tensions as 60 million SOE jobs were destroyed from 1997-2002, forcing Jiang’s successors to adopt a different “people first” tone, which in reality brought no fundamental change of policy, only a more cautious tempo summarised by the phrase “bu zheteng” (don’t rock the boat). Today’s current debates, in the run-up and aftermath of the 18th Congress, reflect the growing pressure from the capitalists both inside and outside the CCP, and overseas, for a return to the reform tempo of the Jiang-Zhu years, meaning even greater class polarisation and economic burdens for the working class and the poor. In reality, the neo-liberal ‘solutions’ being touted by the team around Xi Jinping, if implemented, will exacerbate the economic problems, as today’s European catastrophe illustrates. But the apparent consensus in the new leadership around such economic policies underlines the impasse in which the regime finds itself. There is a realisation within the ruling circles that the current economic model of investment-driven growth cannot be sustained. This has led to the biggest levels of overcapacity ever seen. It is estimated that capacity utilisation across Chinese industry averaged 60 percent in 2011, compared to 90 percent in 2000. Overcapacity in the steel industry in 2012 is 200 million tonnes, a higher figure than China’s total steel output 12 years ago (128 million tonnes produced in 2000). More steel plants are still being built while demand and steel prices have fallen sharply as the housing market weakens. As Reuters (2 September 2012) reported, “By the end of last year, China’s steel industry had a total debt burden of $400 billion – around the size of South Africa’s economy”. Attempts to rebalance the economy towards more household consumption have repeatedly foundered on the rocks of China’s role as a cheap labour platform for global capitalism. Household consumption’s share of GDP has averaged just 37 percent during the Hu-Wen years, compared to 46 percent during Jiang Zemin’s tenure. As a result, China now faces a potentially catastrophic debt crisis, with corporate debt rising to 122 percent of GDP this year from 108 percent in 2011. This far exceeds the 90 percent level deemed “risky” by the OECD. Local governments are “the weakest link in the Chinese economy” according to Credit Suisse bank, after ratcheting up huge debts from manic infrastructure construction. The banking system is storing a time bomb in the form of bad loans arising from such overinvestment and the property bubble. Fitch Ratings estimates the Chinese state-owned banks’ new loans have totalled US$14 trillion over the last five years. “This is equivalent to replicating the entire US commercial banking sector in just five years,” commented Charlene Chu, head of Chinese bank ratings at Fitch. 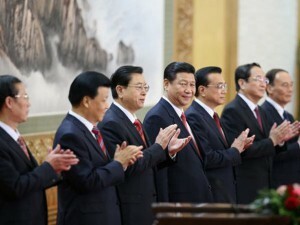 This looming debt crisis – which we Marxists predicted – has convinced the CCP leadership against “kicking the can down the road” in the form of major new stimulus programmes (although their attitude can change in the event of a full-blown revolutionary crisis) and that economic ‘restructuring’ to break up and privatise sections of the state-owned economy is needed. A crisis mentality, stating reforms “cannot be delayed” and “risks must be taken”, is deliberately being injected into the official debate, including at the 18th Congress. “Beijing’s atmosphere on this exactly parallels Washington’s fear of the fiscal cliff,” commented William H Overholt in Asia Times Online.